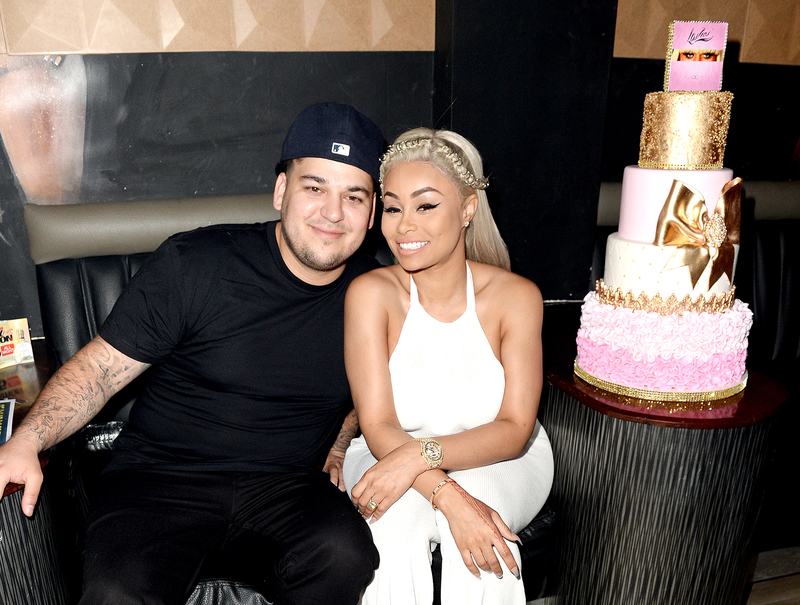 Rob Kardashian wished his on-off fiancée Blac Chyna a happy birthday in a sweet post on Instagram on Thursday, May 11. The reality star, 30, posted a happy snap that showed the Lashed Bar owner, 29, laughing with him as they stood in a playground together. He simply captioned the pic “Happy birthday @blacchyna” along with two watermelon emojis. out, taking their newborn with her. But by March they were back on, with Chyna saying in an interview with Cosmopolitan South Africa that even though they were living apart, they were attending therapy sessions and working on patching up their romance. Last month the pair documented their rekindled romance on Snapchat, with Chyna posting videos of them kissing and cuddling. The doting parents have also spent time together with Dream, and on April 19 they were spotted heading out for a flirty dinner date at TAO in L.A.